With underwhelming GDP growth in the United States and concerns on the health of distressed businesses, investors are showing less enthusiasm to increase their capital allocations to distressed debt. Debtwire’s twelfth annual North American Distressed Debt Market Outlook, produced in association with Cortland Capital, shows that the percentage of respondents planning to increase allocations to distressed debt dropped from 54% last year to 36% this year, and the percentage of respondents planning to decrease allocations nearly doubled from 11% to 21%. 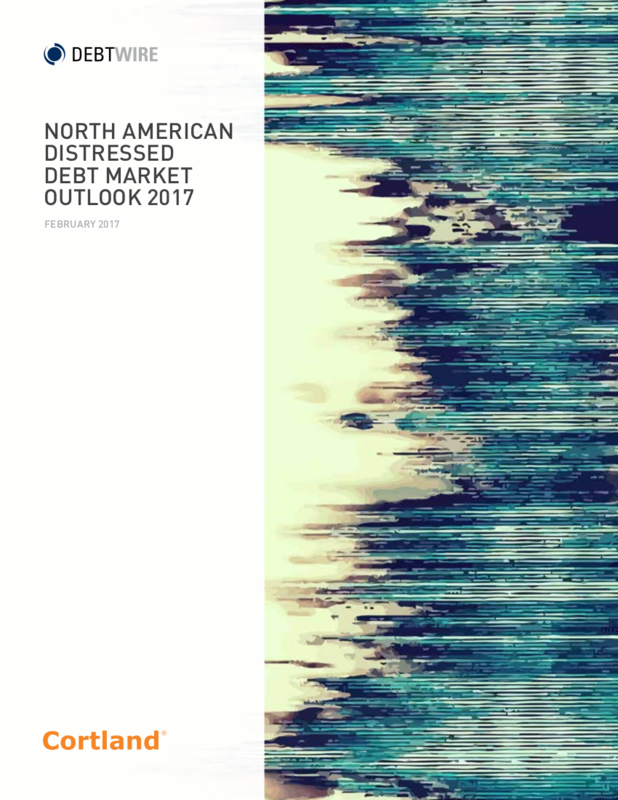 The report also provides an in-depth review of emerging trends in the distressed debt markets, as well as insight into expectations for the North American distressed debt market in 2017. Oil & gas (54%), financial services (49%), and industrials (47%) are expected to be the top three most-targeted sectors for distressed investing – all generally in keeping with last year’s top sector choices. More than half of respondents (52%) cite convertible bonds as their first or second choice of instruments that will offer the most attractive investment opportunity in 2017, while equity also gained a similar response (52%). More than two-thirds of respondents (35%) expect the fundraising environment to be favorable in 2017 – a noteworthy decline from last year’s 55% majority.